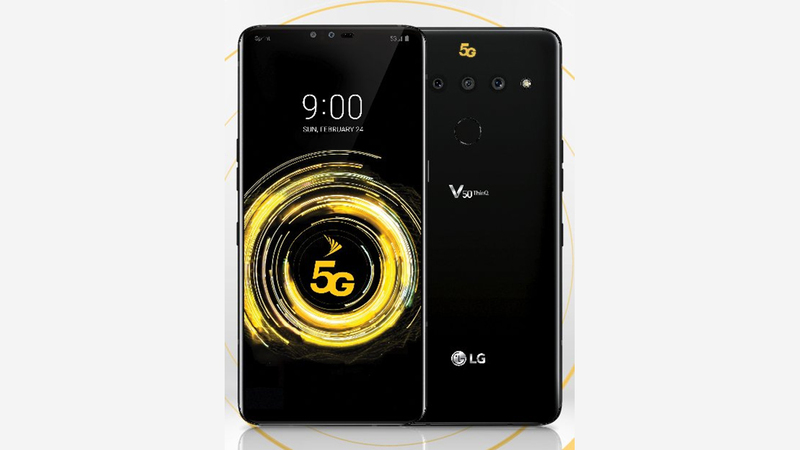 Just a week and a bit to go to the annual phone-fest that is Mobile World Congress, and the leaks keep coming thick and fest: like this render of the LG V50 ThinQ with Sprint branding and 5G capabilities, for example. It’s courtesy of seasoned tipster Evan Blass, so it’s very likely that we’re looking at a genuine picture of the LG V50 ThinQ. Would something that looks like this be enough for you to think about skipping the LG G8 ThinQ for the next model up? Both the LG V50 and the LG G8 are set to be launched on the MWC 2019 press day on February 24, so we don’t have long to wait to see both phones for ourselves – and we’ll be bringing you hands-on first impressions as soon as we can. The leaked render here seems to show a triple-lens rear camera and a notch and a dual-lens camera around the front. The fingerprint sensor remains on the back, so no in-screen reader here. We’ve heard plenty of rumors and speculation about the LG G8 ThinQ but not too much about the LG V50 ThinQ at this point. Traditionally, LG has been using the V series as a minor upgrade to the flagship G series – so the LG V40 ThinQ had a bigger screen and more camera lenses than the LG G7 ThinQ, for example, though the internals were actually pretty similar. Expect something similar this year, with 5G the carrot being dangled to make you think about opting for the V50 rather than the G8. From what we’ve heard so far, the LG V50 ThinQ might cost you as much as $1,170 / £890 / AU$1,600. We know the LG G8 ThinQ will feature a screen that doubles as a speaker, and there’s talk of touch-free gesture controls as well, on top of the usual spec improvements. All will be revealed on February 24.